Our tour manager, Ricardo Howell, was outstanding. He went into great detail about Costa Rica explaining how the country works in just about every way. The hotels were excellent as well as the meals. Food in Costa Rica is great especially the fish and beef. The wildlife was outstanding. Ricardo did a great job pointing out birds, etc and we enjoyed all of our nature walks. The visits to the pineapple, coffee, chocolate plantations were all wonderful. The bat presentation was outstanding. The bus was excellent. They were very easy to deal with and accommodating to my needs. Excellent tour manager and excursions. Local tour guide, Jose, was excellent. He had to deal with some major changes but always did it patiently. Also the bus driver, Juan, was unbelievable. We felt very comfortable with him at the wheel. He was always polite and very helpful. We really enjoyed the Evergreen Lodge at Torteguero National Pk. It was so quiet and secluded. Food was excellent. The included whitewater rafting trip was lots of fun and a new experience for us, as well as the included ziplining excursion. All of Costa Rica is a "National Park"
Well organized schedule, events, locations, and the tour guide, Jose, and bus driver, Juan Carlos, were outstanding. Parador and Mountain Paradise Hotels were the best. All meals and lodges/hotels were first rate. To have a brand new bus was a big plus! It also was great to have Quinn Long with us from the Missouri Botanical Gardens and Shaw Nature Reserve here in the St. Louis area. We enjoyed the whole trip, including zip lining, and white water rafting, cocoa presentation, pineapple plantation, coffee plantation, even the observation of "bats." Because of our experience with turtle research and rescue from the center on South Padre Island in Texas, we were not impressed with that part of the tour. The visit to the National Park at Manuel Antonio seemed a little anti-climatic with everything we had seen all during the tour before there. All in all, we would recommend Collette and their Costa Rica tour to anyone in the future. The pricing was off on the final bill and included items were NOT included. Price adjustments needed to be made or you were overcharged if not paying attention to your original reservation. Included items in brochures were not honored by merchants on the actual trip. They were EXTRA, thus more cost. River rafting, eco bat, chocolate,pineapple & coffee tours were the highlight of the trip. Thank you for traveling with Collette to Costa Rica. We do offer optional activities that are not part of the base land tour. They are an additional cost but you are not required to purchase them. If your feedback pertains to items not including optional tours please contact our Guest Relations Team so we can research your comments. This was first time I have been on an organized tour. Usually I make my own plans. My concern was having a large group and waiting for the last person to get on the bus so I chose a small tour group tour. The group size was 19 and there was never a time where we had to wait for someone to board and thereby, lose time at the next experience. The planned excursions were excellent. I rarely felt rushed. Our full time guide and bus driver were excellence. The most memorable experience was the turtle egg laying excursion (extra cost) in Tortuguero. The meals that were provided were good, as local foods and spices were used. The hotel rooms were what I had expected considering we spent a lot of time in the rain forest. Not all of our hotel stays had air conditioning in rooms, which did not bother me, as the ceiling fans and the large window screens in the rooms provided ample ventilation. PS: Travel light, no one will notice you wore the same shirt a few days ago. Check with the hotel if they provide laundry service, most do, but prices vary. One hotel charge per pound and the other hotel charged per item. This was our fifth trip with Collette. For me the service they provide is top notch. The hotels where we stay are usually 5 stars the restaurants are the same quality. Also, the tour guides, We have never been disappointed. They are knowledgeable, interesting, organized and very easy going and polite. Also, the busses that they have provided, in all our trips have been luxury coaches, and the drivers are as helpful as the tour guides. In addition, the office workers are helpful, responsive and polite. We also encountered a small issue on one trip, Collette responded immediately and compensated us for our “inconvenience” by providing the entire tour with a free excursion. The white water rafting excursion that was included in the tour, was by far the most fun we have had on any vacation. I thought everything about this tour was perfect...truely paradise! Our tour guide was so very professional and passionate about his country. I would have liked to stay extra time in the rain forest. An absolutely superb tour, not to be missed. The zip wire adventure through the jungle was amazing. The tour manager, Ricardo, was the best I've ever come across. So knowledgeable, friendly, caring and with a great sense of humour. Excellent guide and driver, good hotels, interesting tours and visits included. It was a very good tour well organised and interesting. The accommodation was of a very good standard and yet very varied as we moved from place to place. The tour guide was very informative and also well organised so that we were able to enjoy all aspects of our holiday. The standard of our driver meant that we could completely relax and enjoy the journey. 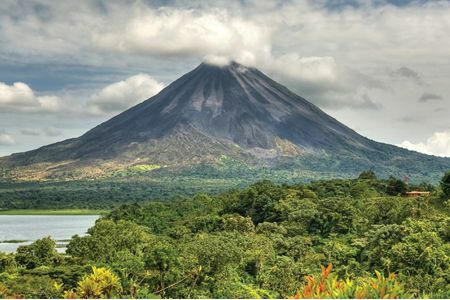 Stunning location,Volcanos,National Parks,Rivers,Fabulous experiences ! 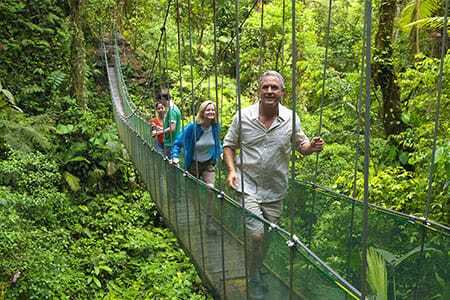 Activities and excursions to cater for everyone with knowledgeable staff always on handUp close and personal with the exotic wildlife.One of my many highlights ziplining over the jungle canopy with breathtaking views of The Arenal Volcano Exhilarating and exciting ! Excellent guide. Nice number of guests. Good food. Very clean, comfortable bus and great driver. Nice variety of experience - feel like I saw much of the country. It was a great tour, except the Jungle crocodile Safari, that was a waist of time, The Tour guide from that company was more interested in his phone and his companion instead of pointing out wildlife. the lunch there was great but not enough time to eat it. Otherwise it was a great tour and Adriana made it very exciting. Hello, thank you for bringing this to our attention. We have passed along your feedback about the guide from the Jungle Crocodile Safari to our product development team for review. They'll use it to improve the tour for future guests. Excellent trip but more strenuous than promoted. The rain forest and cloud forest were extraordinary. A very friendly, traveler-oriented country. A definite bucket list one! It was a packed trip! Packed with activity. A little active for some of us seniors. Hotels were very adequate, however, some on hills and up many steps. I think there were the perfect amount of inclusions, leaving a little alone time. Meals at hotels were very nice. Our guide was extremely knowledgeable about the ecology and biology of the region. Favorite experience was zip lining. Of great importance was the incredible guide, ********* ****. The adventure was well planned, the country was spectacular and ********* provided ongoing helpful insights into the nature we came to see. We have been on 4 Collette led trips and will book more, all will be in the small group format. This Collette adventure was clearly the best. The birds of Costa Rica were incredible! Our 5th exploration tour with Collette and it was well organised from start to finish. Booked directly with Collette's and they were very efficient. A fast paced tour with quite a few early starts. Excellent hotels in great locations. Our tour manager was very informative and had a good sense of humour. There were many highlights, the best were seeing a Jaguar in Tortguero and zip lining. I was surprised that a tour of San Jose was not included but we did that by ourselves as we had an extra day at the end of the trip. Documents were mailed well in advance of tour. Setting up payments and details of trip was very smooth over the phone. Credit back to us for change in travel plans by tour operator was received in a timely manner. Nature tour of Costa Rica was wonderful. A tour director who knows where to find wild life! We would never have seen these things on our own. Good itinerary and excellent guide. Personal collect and drop off was very good and accommodation in a Gatwick hotel in advance of early flight was generous. The hotels, excursion, guide and driver were all first rate. The waterfall and swimming hole in west Costa Rica was a highlight. My favorite experiences would be the cruise we took on the Torteguero River, where we saw birds, crocs, and other animals, as well as the Arenal Hanging Bridges tour, where I felt I was on top of the forest (I actually was). A most enjoyable time and a fine learning experience. Appreciated the pick up and transportation home. Our tour director was most efficient and personable and soooooo knowledgeable about all aspects of Costa Rican nature. Thought our out of the way lodges were quite unique. I mentioned them in the previous response. Failed to note that as I was flying out direct to San Jose that I would need transport from the airport and an extra night in the hotel until I questioned what was to happen. No car to meet me at LGW on way back so tried to phone the company using the number provided which turned out to be a private number - the owner of which had clearly had many calls in the past as she knew exactly which company I was calling. I had to get the correct number from one of the other drivers.The driver who eventually arrived had poor driving skills - took both hands off the steering wheel frequently, drove on his brakes - I wold have failed his driving test! Not enough excursions and what we had was scheduled at same time. Would like to be able to tour local towns and shops. On the bus to much, traveling. Tour guide t give more information while driving in the country side and buildings in the towns. Resorts were unbelievable. Tours in the jungles were wonderful. Thanks for sharing your feedback. We will pass this feedback along to our product and tour manager team. They will find it useful when improving the tours for future guests. We appreciate you bringing this to our attention. The pace of the trip was very good. Our guide was extremely well informed and our driver was very good. We enjoyed our accommodations and the food at the resorts was outstanding. We enjoy the pickup service very much. Although my Costa Rica trip was cut short by a family issue, I enjoyed what I did see. The hotel accommodations were great. *Team member name removed by Feefo* was wonderful. Loved everything especially the zip lining. This tour had the best tour guide ever! This tour had the best tour guide ever! *personal info removed by Feefo* truly 'took care' of all of us through the whole wonderful trip. We are seriously interested in another trip to Costa Rica if * personal info removed by Feefo* runs the trip. The lodgings, food, and historical information were 5 star through the whole trip. The mountain roads on a coach were not first class but * personal info removed by Feefo* entertained us with stories, facts, and history of the country he loves. We have taken two other Collette trips and keep returning to Collette because of this kind of quality. Please don't ever let * personal info removed by Feefo* leave! As stated above, this was a fantastic tour. It was even more than we expected. We went on this tour for our 50th Anniversary which *personal info removed by Feefo* made very special over and over. We got to see all the habitats we wanted to see and with expert guidance from *personal info removed by Feefo*. Waking up looking out over the Pacific with a toucan 3 feet in front of the window and having hundreds of blue morphos fly all around us just after photographing almost twenty hummingbirds are some of our favorite memories. Thank you for tour but especially for *personal info removed by Feefo*. Excellent tour .very good guide and driver. On the whole it was great. I just didn't like the distance of the Rio Celeste to the planned activities. Too much difficult bus travel. The resort was lovely ,but had a heavy mildew smell. Why go there where it pours rain most of the time. Then travel 2 hours each way to go to an activity. Couldn't you stay somewhere closer to the raft trip? The tour was a 4and 1/2 overall. I liked the crocodile boat trip and the Tortoguera segment best. do not stay at the last to places. other wise excellent. i enjoyed all food, day trips, company and the guide was excellent. but i feel the last two places we stayed at were to far from town or things to go to see . i would opt. on those places. I loved Tortuguero. Wish we had more time there. Loved Manuel Antonio also. Our guide for the trip was excellent. I thought that in Rio Celeste hotel and Cloud Forest one we were too far removed from anything else. When we did venture out as we did both days from Rio Celeste, it was just too long a ride 4 days in a row basically--to get there, to go rafting, the indigenous adventure, and then leave for the drive to Manuel Antonio. Too many days of long drives. I didn't really care for the Maleku tribe presentation. They don't live that way now, so I would have prefered to see just how they do live, not their rituals from the past. I already did make a statement about the tour. My favorite experience was the whole Tortuguero experience. Loved being with all the birds and animals around. I could have spent more time there. i felt we were being well loked after. Dealt with our queries quickly and promptly - even arranged for courier to purchase postage stamps for our postcards before we arrived. He took the trouble to find out about us, to ensure we had a good time. Excellent hotels and food - good group - felt that we were secure in an unfamiliar environment. Favourite experience - Manuel Antonio National Park and beach. Super to deal with, very organised, well run & the best experience we have ever had. Cannot recommend then high enough simply superb. The guide Ricardo was fantastic, nothing was to much trouble & always happy. could not have had a better guide. Please do not change a thing!! All was a fantastic experience & all the little things done by Ricardo made the trip even more special. The wildlife seen was superb & some would not have been possible without the experts on site so a big thanks to them all. I took my granddaughter on this trip as a graduation present from college. She loved it. This was my 4th visit to Costa Rica but this experience was somewhat different than the others. We stayed in new properties and visited some new locations where we were informed about their diversification program and learned about the many they things they are doing to preserve their environment. We were immersed into the culture and thoroughly enjoyed mingling with the people and sharing their ideas and thoughts. We really enjoyed the animals, the food and the lovely properties. Our guide Fabian Alfaro was excellent. He taught us so much about his country and blended with our group beautifully. We only had 10 people on this tour, which was a little unusual for Collette, but it made a great experience for us and we enjoyed our little family and got to do many things we couldn't have with a large group. I would highly recommend this trip. I liked the immersion into the culture, learning how the people live and seeing how much they love their country and want to protect it and save it for the next generation. They live in one with nature and love and appreciate life. Their existence does not depend on money and material things but appreciating life and the moment. Loved being picked up from our home to go to the airport. Excellent tour guide who was very knowledgeable of Costa Rica and very sensitive to the needs of the members of the group. The experiences were on time and interesting and we were very comfortable throughout the trip. Many excellent moments and we grew to love Costa Rica due to these experiences. Loved our group and the size of the group was especially wonderful. THe only negative was the hotel we stayed in San Jose. Although we thought it was a beautiful property, we had a walking tour in downtown San Jose and had to spend almost $70 in cab fares to get to where the tour began. Also the restaurant in the hotel was very disinterested in us and it took us forever to get our lunch and to get the attention of the wait staff. From thrilling water journeys to ethereal jungle expeditions, discover what pura vida means to you when you explore the essence of Costa Rica. It’s time to experience a world of nature. Visit paradise in tropical Costa Rica, with its sandy beaches, lush forests, exotic plants, incredible animals, and stunning waterfalls. 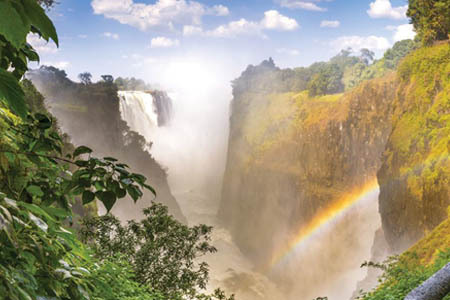 South Africa's epic scenery, winding coastlines, remarkable cultural diversity and abundant wildlife come together in an incredible adventure. Enjoy great savings for a limited time only. 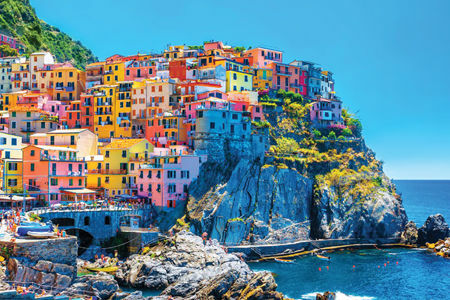 The romance of Italy comes to life on this culinary and cultural adventure that will take you from medieval masterpieces to lively markets. 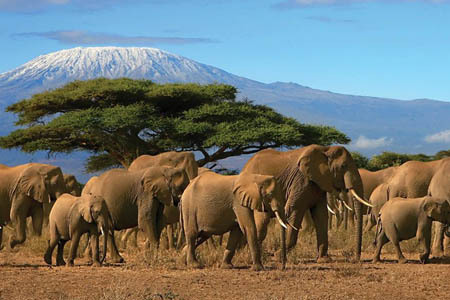 Enjoy Kenya's scenic vistas and magnificent wildlife as you traverse the African plains on an intimate safari adventure. Smaller buses, which may not be lavatory equipped, may be used on this programme. In this case, frequent stops are made during travel periods. Hotel check-in on your day of arrival is 3:00 p.m. Rooms may not be available prior to that time. Museum visits and shopping may be affected with observance of religious or local holidays. Due to luggage size and weight restrictions on the boats, please bring an overnight bag for the 2-night stay in Tortuguero National Park. Your main luggage stays in San Jose and joins you upon your return to the mainland. IMPORTANT Travellers INFORMATION We want you to enjoy your tour with us; therefore, it is important that you know this tour is an adventure! You will view spectacular scenery whilst experiencing the culture and heritage of the region. We have selected small, comfortable hotels and eco-lodges for their locations and they may be considered rustic. Air conditioning and elevators are not available in all properties used on this tour. 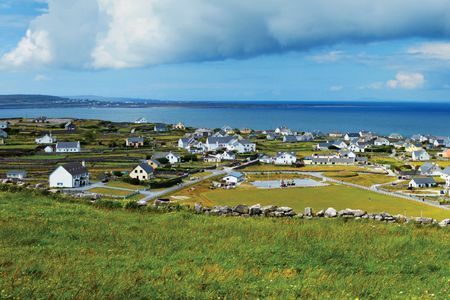 Travellers must be in good health as sightseeing requires walking on uneven terrain; wheelchairs and walkers cannot be accommodated on this tour. *White water rafting is subject to the operator's safety restrictions. **Manuel Antonio has recently instated a limit on the number of persons allowed into the park. Should we not be allowed entrance, time is allowed in the nearby beach and/or a nature walk will be available in the hotel grounds.